STRICTER laws against errant employers of foreign workers come into effect today. The Ministry of Manpower (MOM) now has greater leeway to mete out higher penalties and swifter punishment, and also wields greater enforcement powers. The changes to the Employment of Foreign Manpower Act (EFMA), approved by Parliament on Sept 11, include reclassifying some offences as regulatory breaches with penalties of up to $20,000. Unlike criminal offences, these do not need to be prosecuted in court and can thus be dealt with more quickly. Some new infringements have also been introduced, such as collecting kickbacks from foreign workers in return for giving them a job, and getting around quotas by having local "phantom workers" on the payroll. Those found guilty of the former may face a fine of up to $30,000, up to two years in jail, or both. The latter is a regulatory breach with penalties of up to $20,000 and does not carry a jail term. These were previously prosecuted under more general offences. MOM said yesterday that the changes aim to ensure compliance with foreign work pass rules and hence "level the playing field for law-abiding employers and ensure that Singaporeans remain at the core of our workforce". Government moves to tighten foreign labour inflows since 2010 - in response to Singaporeans' unhappiness over congestion and competition - have contributed to a labour crunch, especially in sectors like retail and food and beverage. Some errant employers responded with "creativity" in breaking rules on the hiring of foreigners, Acting Manpower Minister Tan Chuan-Jin said in September during the parliamentary debate on the changes. That was why the law was tightened. "MOM will continue to closely monitor and enforce against errant employers and syndicates that try to gain an unfair advantage by bypassing MOM's rules," the ministry said yesterday. It is now working on a second phase of the EFMA review which will focus on workers' well-being and "ensuring a fair balance of rights and responsibilities between employers and workers". 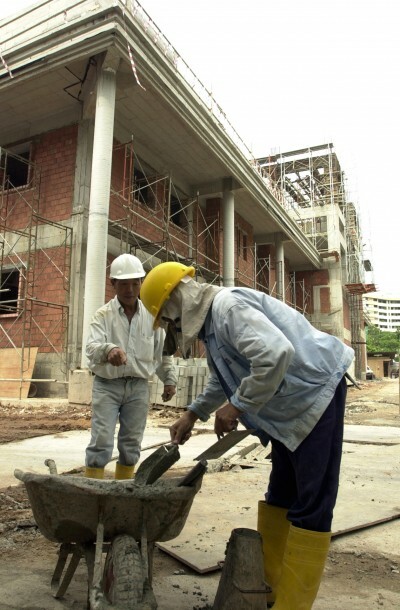 There are 1.23 million foreign workers in Singapore, up from 1.05 million at the end of 2009. The Government has said that it is slowing the inflow but not yet cutting the absolute number. Singapore's other major labour law, the Employment Act, is also under review. Public consultation is due to start by the end of the year.